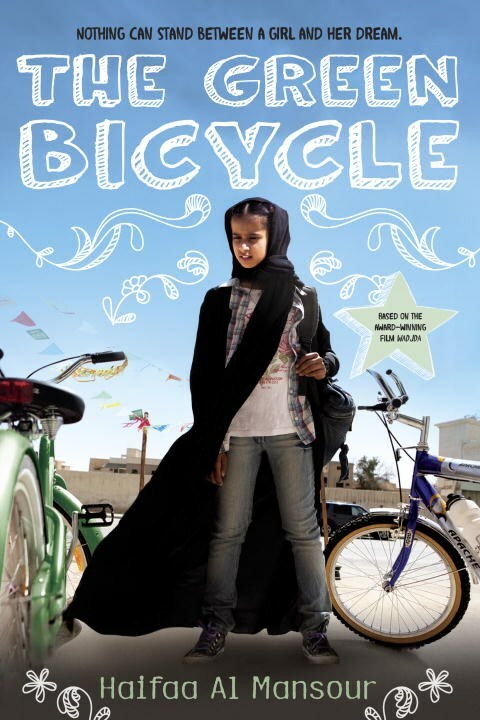 Spunky eleven-year-old Wadjda lives in Riyadh, Saudi Arabia, with her parents. She desperately wants a bicycle so that she can race her friend Abdullah, even though it is considered improper for girls to ride bikes. Wadjda earns money for her dream bike by selling homemade bracelets and mixtapes of banned music to her classmates. But after she’s caught, she’s forced to turn over a new leaf (sort of), or risk expulsion from school. Still, Wadjda keeps scheming, and with the bicycle so closely in her sights, she will stop at nothing to get what she wants. Set against the shifting social attitudes of the Middle East, The Green Bicycle explores gender roles, conformity, and the importance of family, all with wit and irresistible heart.